The American Human: Americans: Why Do We Have to Alter History to Look Good? Americans: Why Do We Have to Alter History to Look Good? Wounded Knee: Growing up I thought Indians were the bad guys. Yep, that's a rhetorical question because we alter history to make ourselves feel better. We've been doing it forever, and we're not the only ones who do it. The Dutch probably do it -- I love the Dutch since I lived there briefly in the 70s -- because their past, especially in Indonesia and South Africa, doesn't comport well with how "cool" they are now. The Japanese, who I also love after living there in the 80s, do it for reasons both obvious and obscure. Nanjing Massacre: The Japanese don't want this in their textbooks. There's no excuse for us Americans, as there is none for any nation. It's time we move beyond "history is written by the winners." It's also written by the losers: See Iraq, as in We Came, We Saw, We Blew Stuff Up, We Left. Argo: good movie, not so good history. What brings this on is the many nominations for the movie Argo, which, being a history buff, I saw when it came out. It was an entertaining movie but not one worthy of a Best Picture nomination. Kevin B. Lee of Slate agrees, for much the same reason I fell out of love with the movie after I learned how much of the history had been bent to make the CIA look more important and not so vile. I'd been thinking about this concerning Zero Dark Thirty, which I also look forward to viewing, though I've had strong misgivings about the reported support for torture in its interpretation of torture's role in discovering bin Laden's location. The linked article in the Huffington Post by Medhi Hasan makes the case compellingly that 1) the CIA torture was horrible and was depicted as such in the movie, and 2) the movie nonetheless somehow mitigates this by untruthfully depicting this torture as leading to the bin Laden kill. 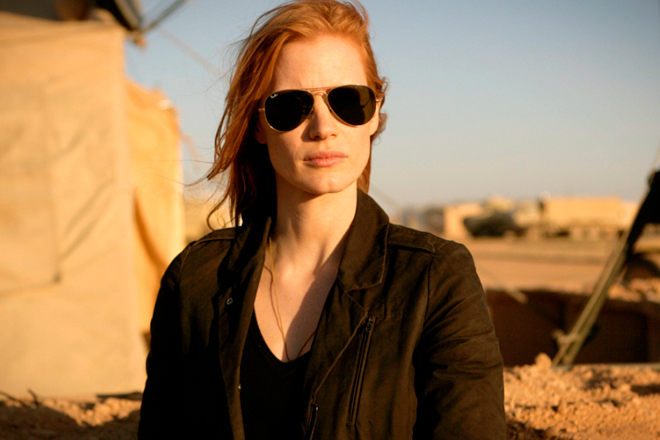 Zero Dark Thirty: a tortured storyline? But such is the American obsession with historical revisionism in general and Hollywood's inevitable disservice of history in its efforts to entertain and, dare I say, continue to weave American exceptionalism into the fabric of American life. It's not good for us, and we should move beyond it. The American Myth is hurting us. I don't have Showtime on my cable, but I'm drawn to finding more out about Oliver Stone's Untold History of the United States. I was happy to see that we can view free episodes of the show. I'm off to watch. In the meantime, do yourself a favor: Stop and think of what's real and what's not whenever you view someone's presentation of American history (or current events, for that matter). Ask yourself who is saying what, why they might distort reality, and then work to discover the truth as you best you can. We don't have to think ourselves horrible, we just need to know better who we are, where we came from, where we should go, and then contribute to an honest narrative.